Then, I got a mystery illness which was eventually diagnosed as intestinal parasites, bacterial imbalance, and chronic fatigue syndrome (I know, lovely!). I adjusted my diet following doctors orders but even then, I didn’t give enough importance to self-care and continued working way too many hours. This probably slowed down my recovery substantially. A couple of years later, I was diagnosed with two types of cancer. As you can imagine, this was incredibly confronting. As I went through the months of treatments, I had time to reflect on what’s important and shifted my priorities. Thankfully, I’m fine now but this experience really taught me first-hand how important self-care is – for everyone. I can still easily fall into my old habits, but now I’ll pull myself up earlier and set things right again. I hope you’re smarter than me and don’t need a big wake-up call for you to start taking care of yourself. If you worked for a half-decent manager, most likely they’d notice if you were working too hard for too long or starting to take on too much stress. But as entrepreneurs and business owners, we’ve got no-one looking out for us. We have to take responsibility for ourselves. It’s another thing that lands on our shoulders. You’ve probably heard countless people saying that; you have to look after yourself as you can’t do your best work unless you’re in good shape. It sounds good in theory, but I know in practice, it’s hard to take this onboard. If you’re running a business, it’s irresponsible to neglect your physical, mental or emotional wellbeing. Self-care is not a luxury, it’s a responsibility. Unless you’re doing something labour-intensive (like picking apples), your work outputs are rarely related to the number of hours you work. You’ve probably had experiences when you had an ultra-productive morning and moved some projects forward more than you had previously in weeks. That’s because you were on-point – none of your systems were too stressed and you were able to operate at your best. You can get to that state much more often when you practice responsible self-care. When thinking about self-care, do you immediately conjure up images of spas, massages, scented candles, and herbal tea? Of course, self-care can encompass these things, but it’s much more important to get the fundamentals right first. There are plenty of resources telling you how to eat and I don’t think I need to convince you how important this is. The thing is, it doesn’t need to be time-consuming or difficult. 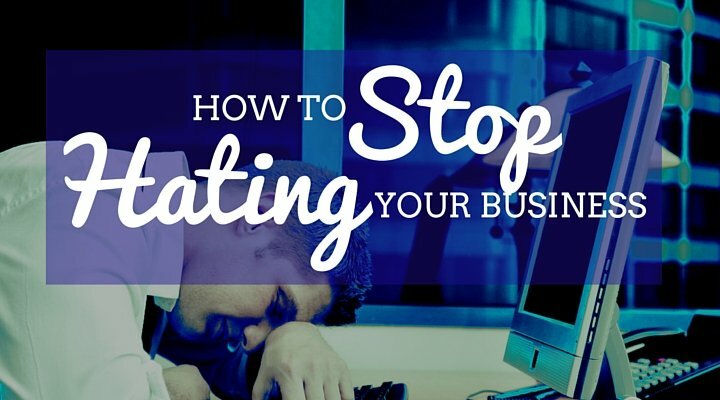 If your priority is your business, minimise the time and effort it takes to eat healthily. For me, this often means cooking in bulk, deciding on a few regular meals (variety is over-rated), and deciding on meal times. It might also mean starting to shop online, using a food service that delivers the ingredients for meals, or maybe something else. You don’t need to go crazy about optimising your diet, but you probably know the areas you need to improve. You can do better than toast for lunch! And when you make these changes, you’ll start feeling a whole lot better. There’s so much research that tells us regular exercise is important for so many different reasons. Don’t just think of it as a way to control your weight, exercise is essential for our emotional and mental wellbeing too. I think we all know this though, so the trick is to find a way to get ourselves actually doing it. Forget about what you think you should be doing and find some form of exercise that suits your life. It might not be something you love, but you shouldn’t hate it either! Find a way to plan your week so that most days you’re doing some form of physical exercise. In fact, for many people, it’s easier to do something every day than just some days. This is the one I personally struggle with the most. But self-care for entrepreneurs and business owners needs to include a way of getting enough quality sleep. If Jeff Bezos can get 8 hours of sleep and manage to build one of the world’s biggest and most innovatve companies, surely we can too. Probably the best way to balance your sleep patterns is to decide on a specific bed-time. You might even want to set a “go to bed alarm” to remind you. This seems simple but as entrepreneurs, we can get used to having the freedom and flexibility to do whatever we like, and if we’re working away on something and in the zone, it’s hard to stop. Many of us also suffer from feeling like we haven’t done enough today. If this is you, try using our new productivity tool which gets you very deliberate about your daily plans and what you’ve accomplished each day. Setting good sleep habits involves discipline. It’s at least as important as the discipline of keeping our accounts up to date or making our sales calls each day – so let’s start thinking of it that way. 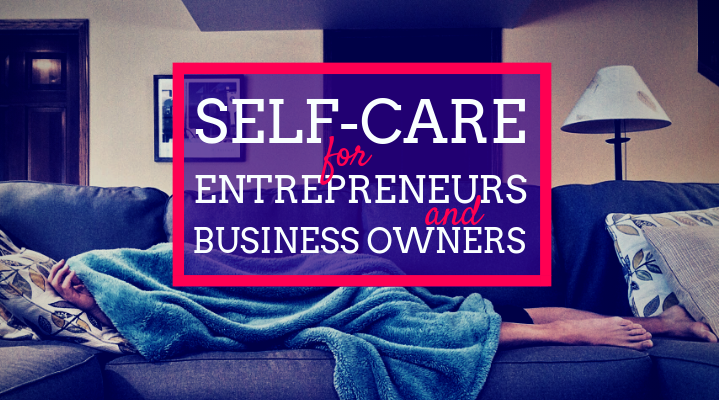 Of course, there are plenty of services that can help you get the fundamentals of self-care for entrepreneurs in place and we should use these to our advantage. Maybe there’s an area of life that’s taking up a larger proportion of your time and energy than you’d like. Think about whether you could fix this problem by using services. For example, you might constantly have a nagging feeling you should be cleaning your house. Solve this by getting a cleaner once a week. Or, you might be stressed because your business financials are out of control. Hire a bookkeeper. Or maybe you’re spending way to much time updating your social media accounts each day. Could a virtual assistant do that instead? Many entrepreneurs have come from a bootstrapping mentality where they scrimp and save every penny. There’s definitely a time and a place for that, but as your business grows, be smart about investing in areas that will make a big difference. You might also like to make services a reward that you’ll give yourself once you reach a certain target. For instance, once your monthly sales reach X, you’ll hire a bookkeeper. Obviously only commit to what you can afford but anything that helps you do your best work better is usually a good use of money. Physical wellbeing – are you eating, sleeping and exercising well. Do you feel good in your body or do you feel tired and sluggish? What’s working well in this area and what could you improve on? Mental and emotional wellbeing – are you thinking positively, able to access your creativity, and feeling productive? Or are you stressed, getting stuck in negative thoughts, and feeling stuck? Maybe there’s a certain type of client that you want to avoid, or maybe you keep forgetting to each lunch, or maybe you need to stop seeing friends so often, or start seeing friends more! Only you will know what changes you need to get you operating at your best. There’s always room for improvement, but making this check-in a regular part of your self-care process will give you the insights you need to make slight changes so that you’re a happy and healthy entrepreneur.